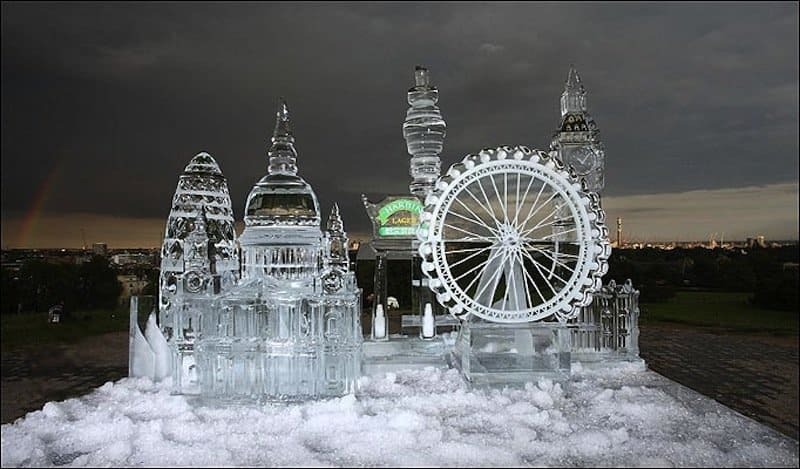 Ice sculpting is an amazing art form. 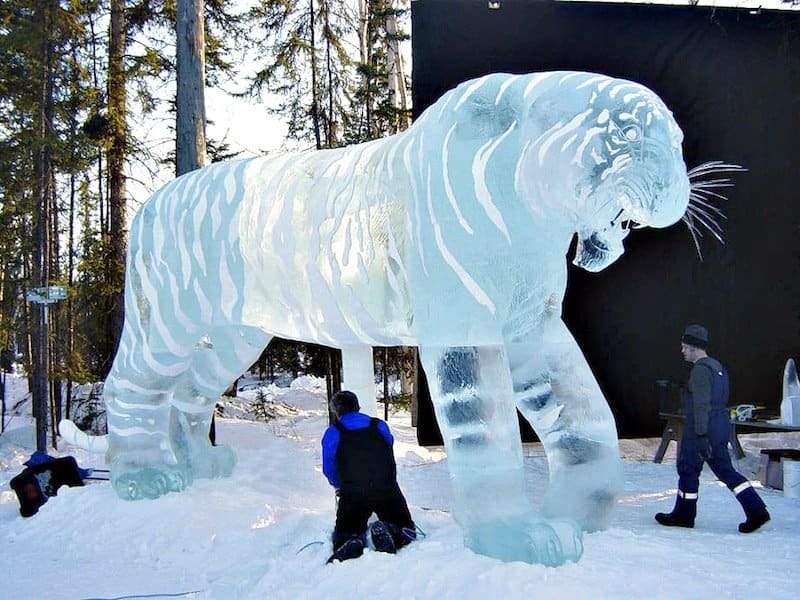 The sculptors usually begin with brute force by taking a chainsaw to a block of ice, but as their work progresses, they use more refined tools to develop the most intricate and elegant details. As with painting and other forms of sculpting, almost anything is possible. 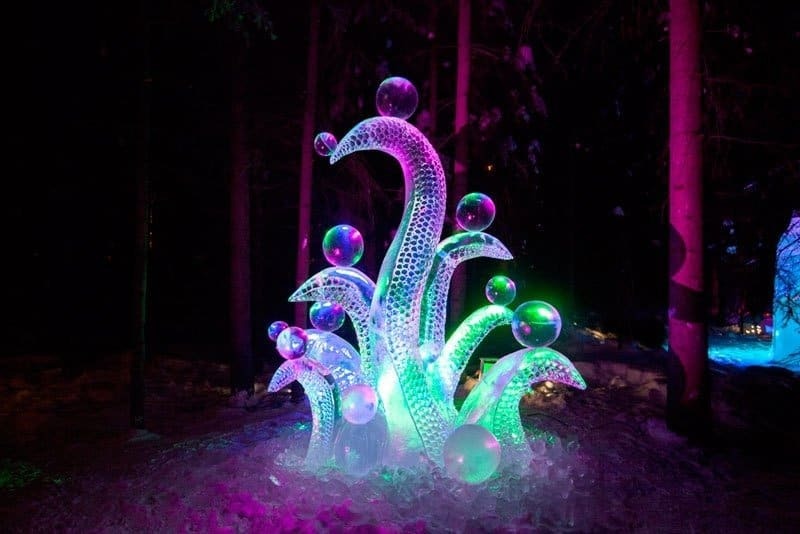 However, at the heart of these amazing sculptures is a powerful message: life and beauty is fleeting. 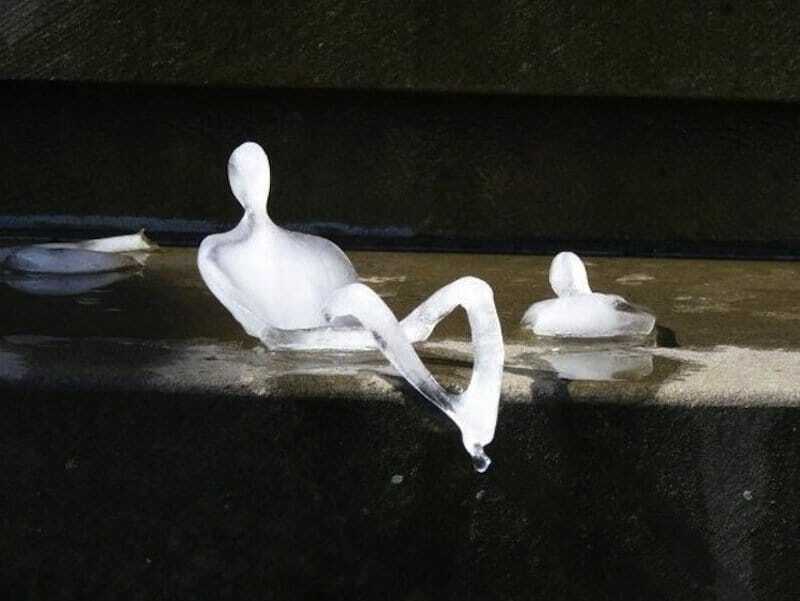 These artists work hard to develop these sculptures, but their works are doomed to melt and perish. 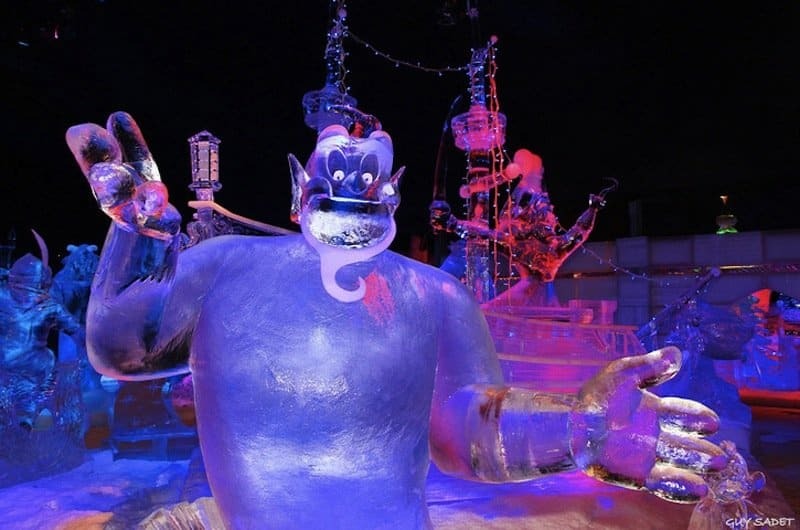 But these artists sculpt these ice figures anyways, for the beauty and awe these figures inspire will certainly live on after their physical forms have vanished. 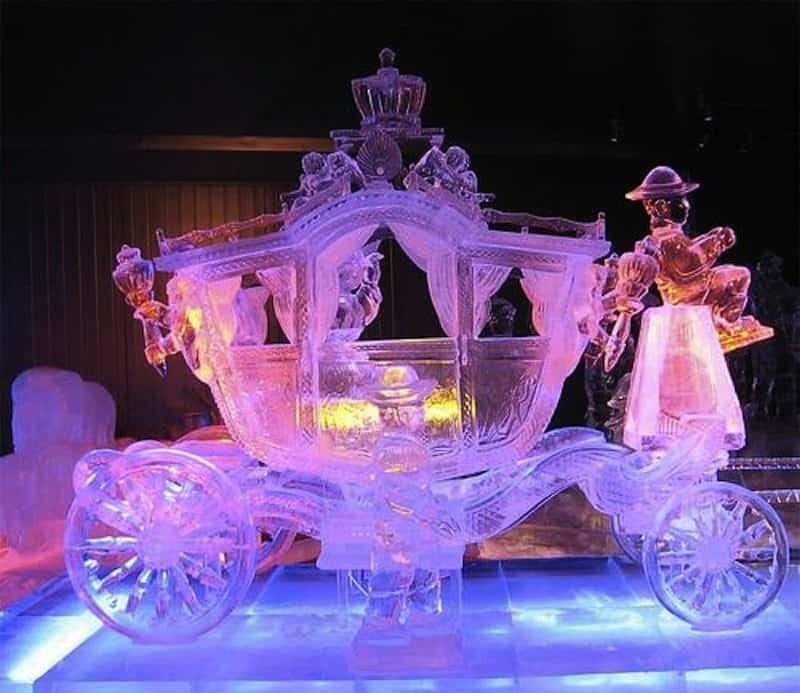 This ice sculpture is elegant and sophisticated enough for Cinderella, or anyone else for that matter. 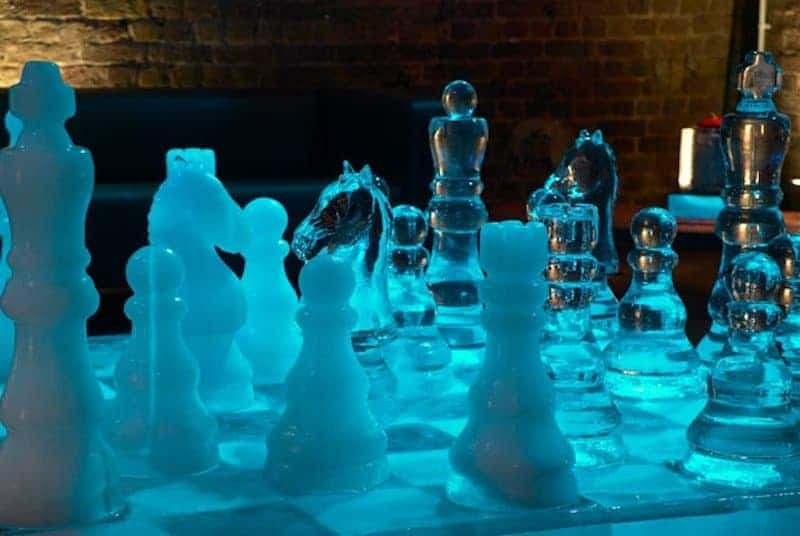 This is taking chess to a whole new level. 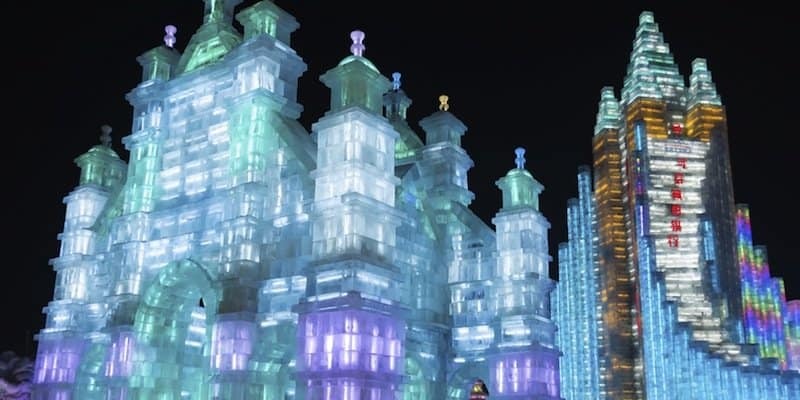 Now the players will have to be fast and complete the game before the pieces melt. Aladdin’s genie will grant you three wishes if you ask nicely. 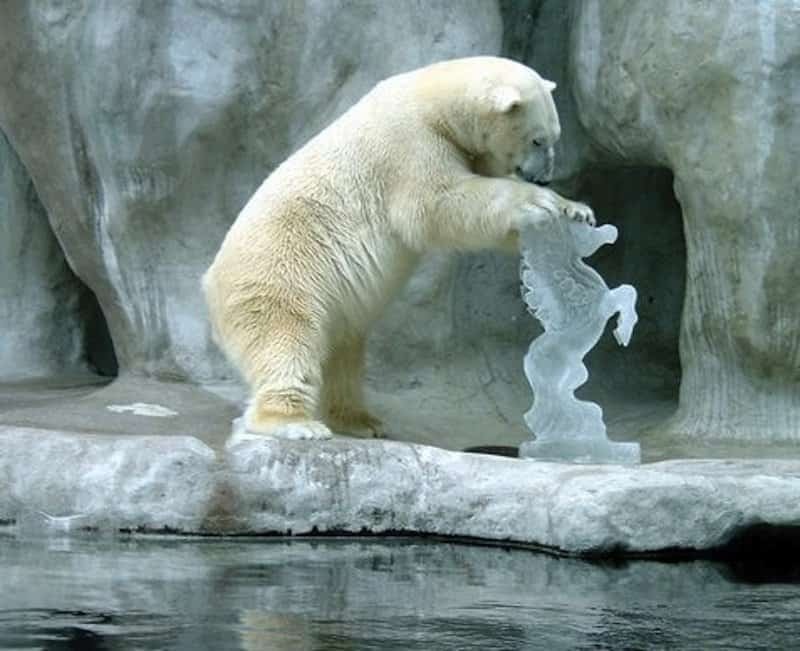 Just do so before he melts. Hey, anybody want to get a dance party going inside? Just make sure to wear warm clothes! 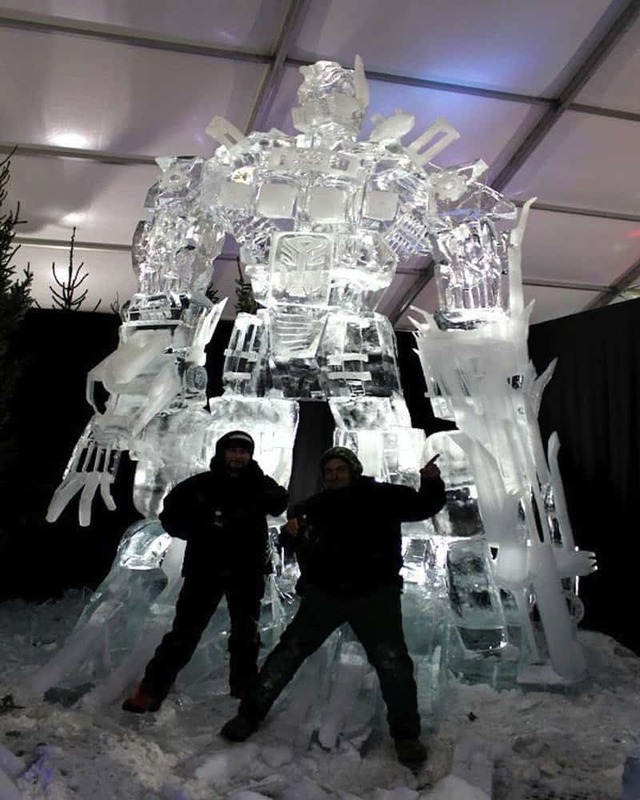 In the next Transformers movie, the invaders are rumored to be made of ice rather than metal and electronics. Pretty cool amusement park. Who’s willing to take a ride on this ferris wheel? 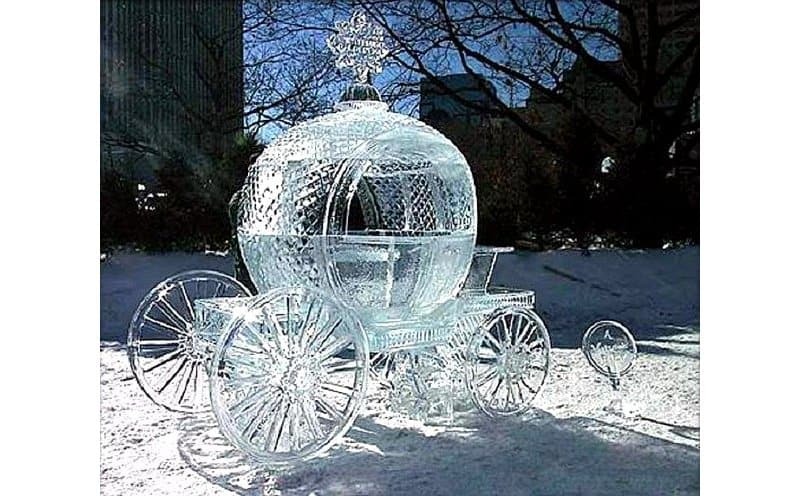 This is another carriage fit for a queen. It even comes with its own driver. 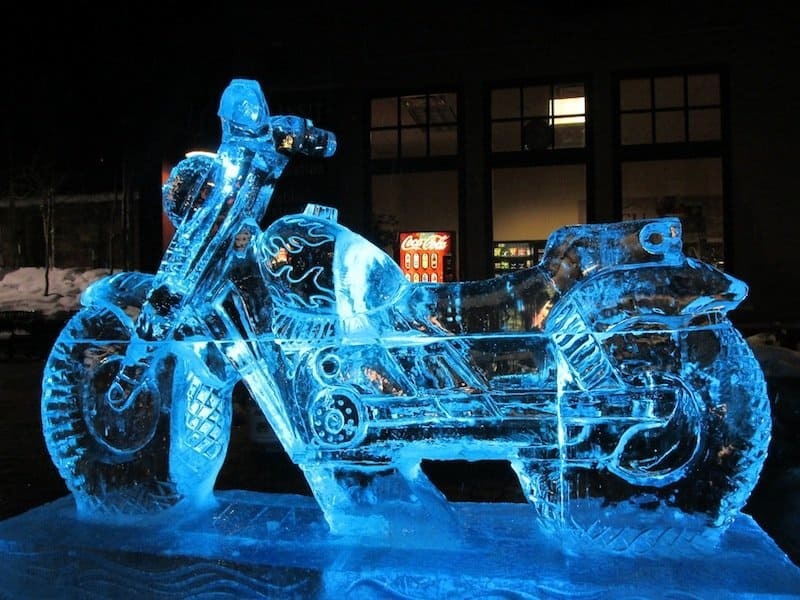 If you want something faster than a carriage, though, consider renting out an ice motorcycle. 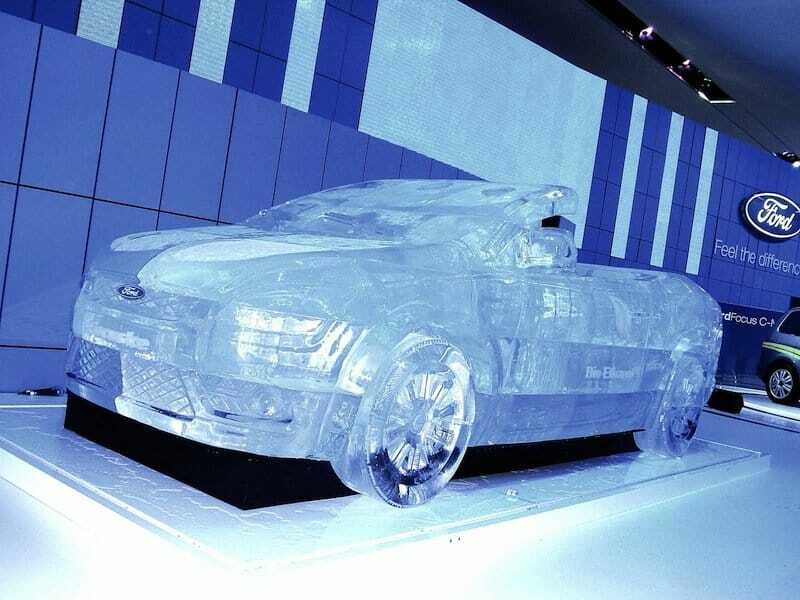 If you want something a little more practical than an ice motorcycle, there are plenty of cars to choose from as well. However, we’re not sure about the gas mileage. 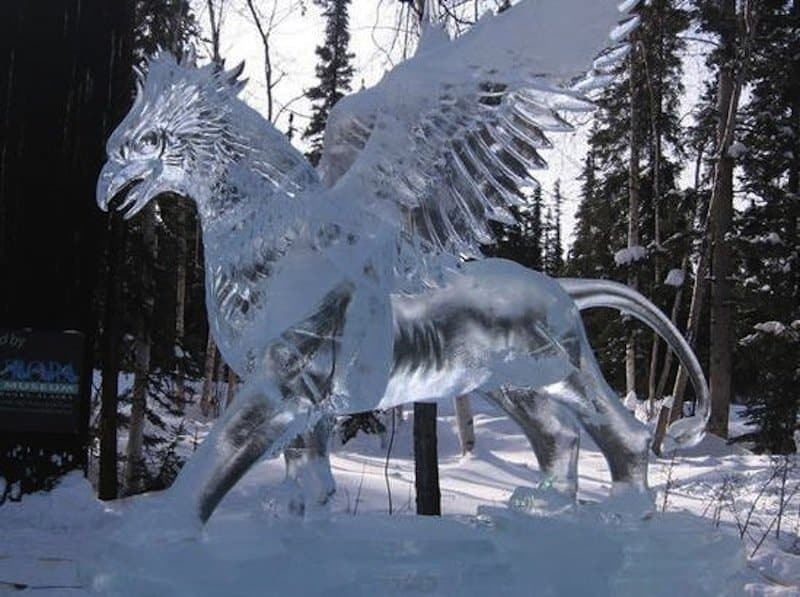 There have been reports of Griffin sightings lately. Authorities have warned the public to be on the lookout. 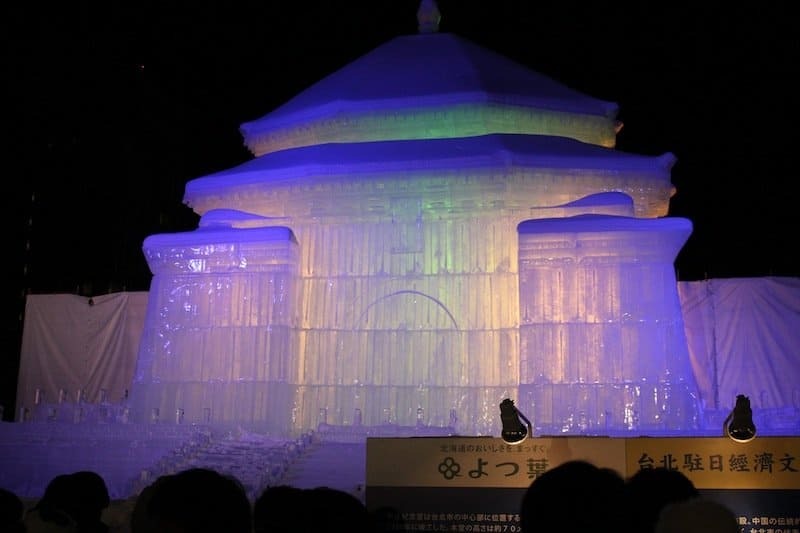 If you’re vacationing in Tokyo, consider staying at one of their ice hotels if you want a cooler atmosphere. 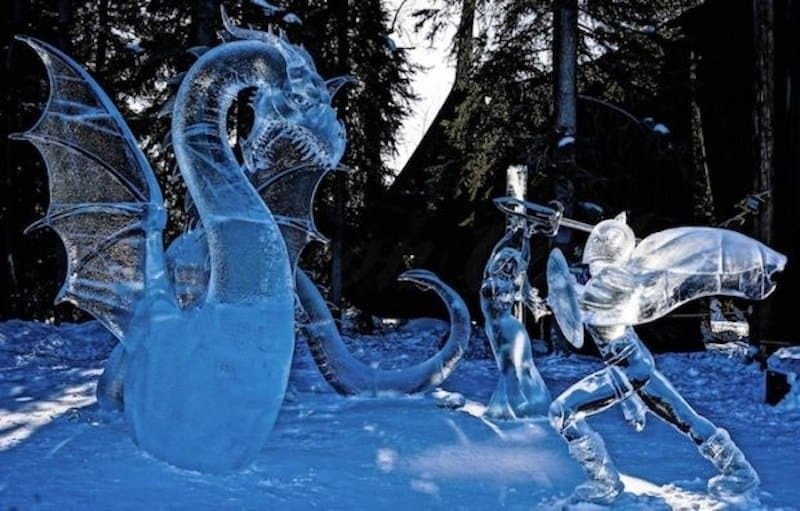 These warriors are somewhat lucky: ice dragons, though ferocious in appearance, cannot breathe fire for fear of melting their own throats. 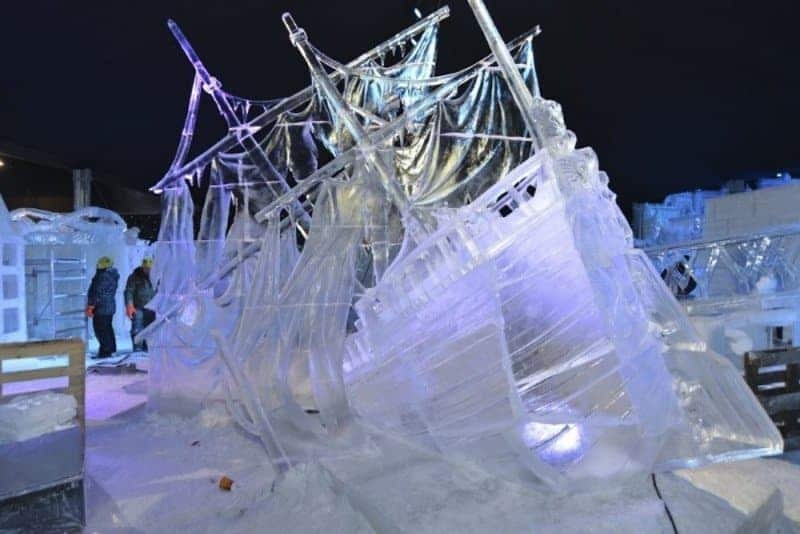 Now we know what happened to the lost Franklin Expedition of 1845. It crashed and got frozen in ice. 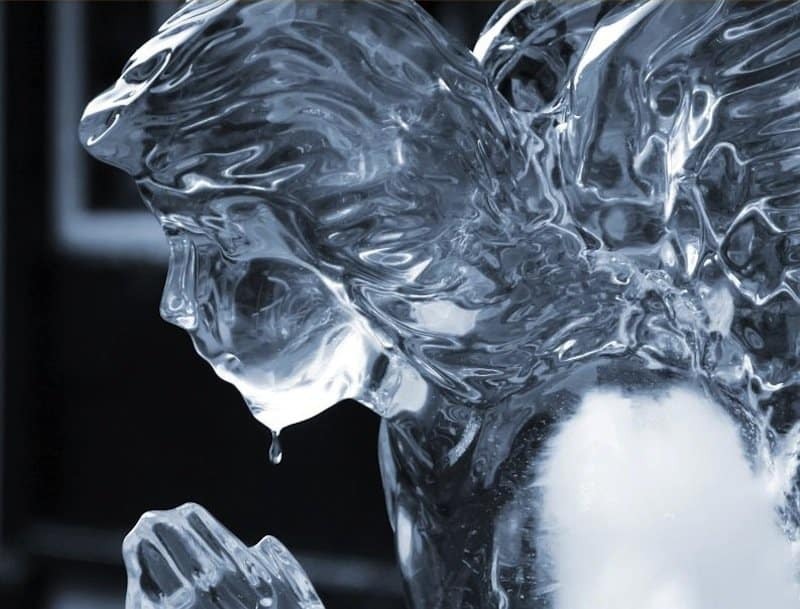 While not intricate like the other examples on this list, this picture of a melting little guy is full of metaphor, symbolism, and a touch of sadness. 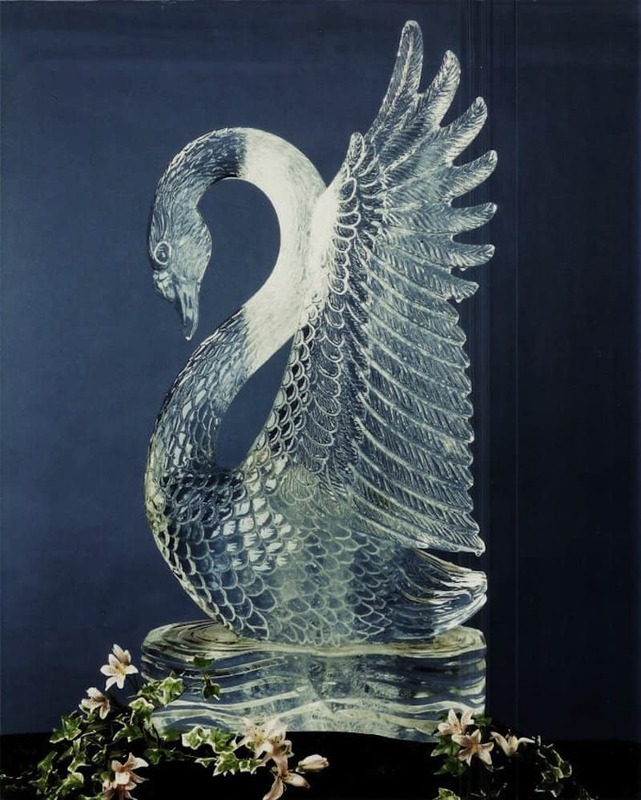 The elegance and intricacy of this ice swan should take your breath away. It’s so realistic that we wonder if another swan would recognize it as one of its own kind. But what’s better than a single, beautiful swan? 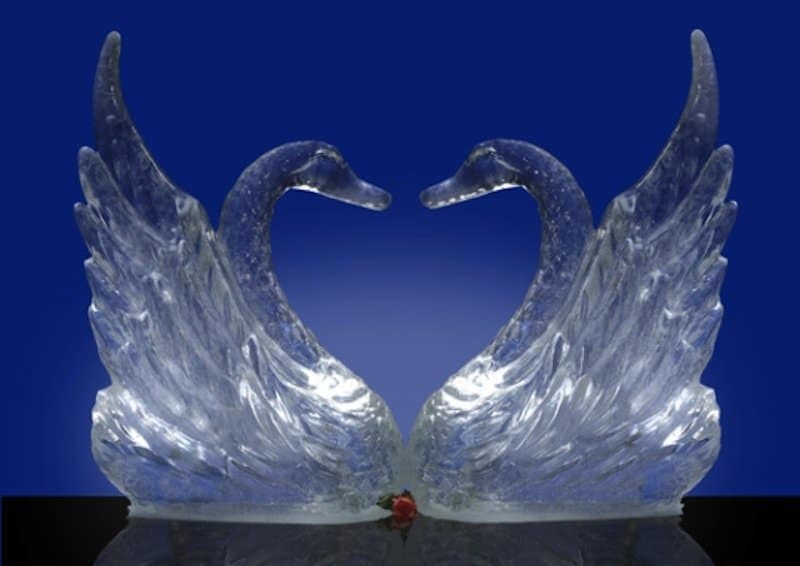 Why, two swans close together, forming the shape of a heart with their necks.